Our own original and unique recipe. 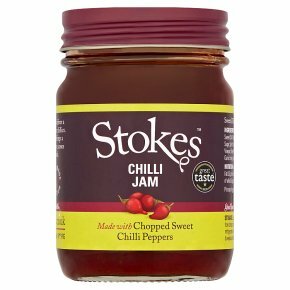 Made with chopped sweet chilli peppers. This product contains no artificial colourings, flavourings or sweeteners. Suitable for vegetarians. Try this Perfect with brie or add a generous spoonful to spice up your gravy.